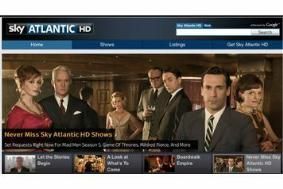 Virgin TV won't show Sky Atlantic channel "any time soon" | What Hi-Fi? Virgin TV won't show Sky Atlantic channel "any time soon"
He accuses BSkyB of demanding an "unrealistic price" price for a carriage deal, while BSkyB's chief operating office Mike Darcey hits back that Virgin wants the channel "on the cheap". "[BSkyB] has an unrealistic price on the product," Berkett told MediaGuardian. "It is a great product but I don't want to get into a war of words, I did note Mike Darcey's comments. I understand the position they are taking." Sky Atlantic launched on February 1st with a host of highly-acclaimed HBO programmes such as The Sopranos and Boardwalk Empire. It's also the new home for Mad Men, the fifth series of which Sky snatched from the BBC. Virgin has also confirmed that it will make its new TiVo-powered video-on-demand service available to new customers from April. At the moment, only existing customers can upgrade to the new TiVo set-top box.